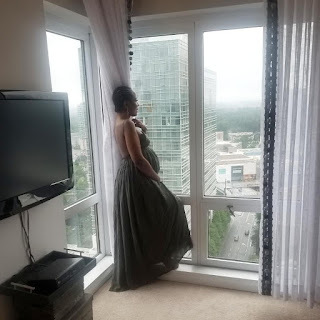 Linda Ikeji shows off baby bump as she jets out to the US to welcome her son.. The popular media entrepreneur showed off her baby bump as she arrived Atlanta USA in preparation to welcome her son. She says it's still all so surreal and she sometimes can't breathe when she realises she would soon become a mum. Awww..
We wish her a safe and stress free delivery..